We have all pondered seemingly unanswerable but significant questions about our existence-the biggest of all being, "Why are we here?" Philosophy has developed over millennia to help us grapple with these essential intangibles. 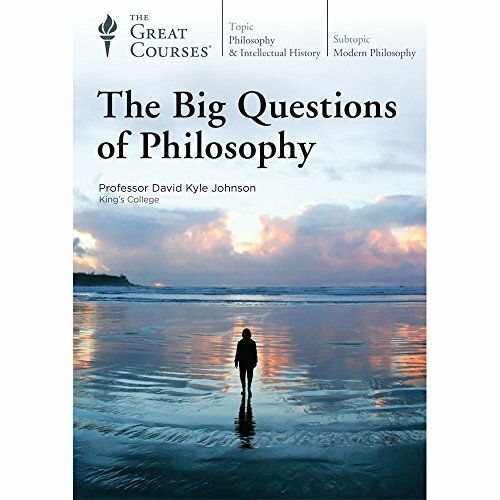 There is no better way to study the big questions in philosophy than to compare how the world's greatest minds have analyzed these questions, defined the terms, and then reasoned out potential solutions. Once you've compared the arguments, the final step is always deciding for yourself whether you find an explanation convincing. This course gives you the tools to follow and create logical arguments while exploring famous philosophers' viewpoints on these important questions. Although progress has been made toward answers, brilliant thinkers have continued to wrestle with many big questions that inspire thoughtful people everywhere. These questions include: What is knowledge? Does God exist? Do humans have free will? What is right and wrong? How should society be organized? Given the complexity of these big questions, it should be no surprise that many controversies are far from settled. In fact, by the end of these 36 lectures, you may be even less sure of the right answers to some of the questions than you were at the beginning. But being a philosopher means constantly testing your views-giving a reasoned defense if you believe you are right and modifying your ideas when you realize you are wrong. You'll discover that great thinkers before you have offered convincing answers to hard questions, philosophers after them have made equally persuasive objections, and then still others have refined.